Fantastic opportunity to live in the highly sought after University City area. You can literally walk to school from this beautiful building! We are located on the Dragon Route in University City, one block from Vidas Athletic Complex with both soccer and hockey fields. Even if you don’t have a car it’s super easy to get around. Just a few blocks to Drexel and UPENN, 1 block to Methodist Hospital. Easy access via car, public transportation, walking or hoping into an Uber. Everything you need is extremely close including shopping, restaurants, bars, convenience stores, public transit, public safety, police station, grocery stores, and movie theater just to name a few. This is the best NEW housing you can find in the area boasting LARGE bedrooms, modern kitchens with stainless steel appliances, hardwood floors, alarm systems, laundry, dishwashers, and more. 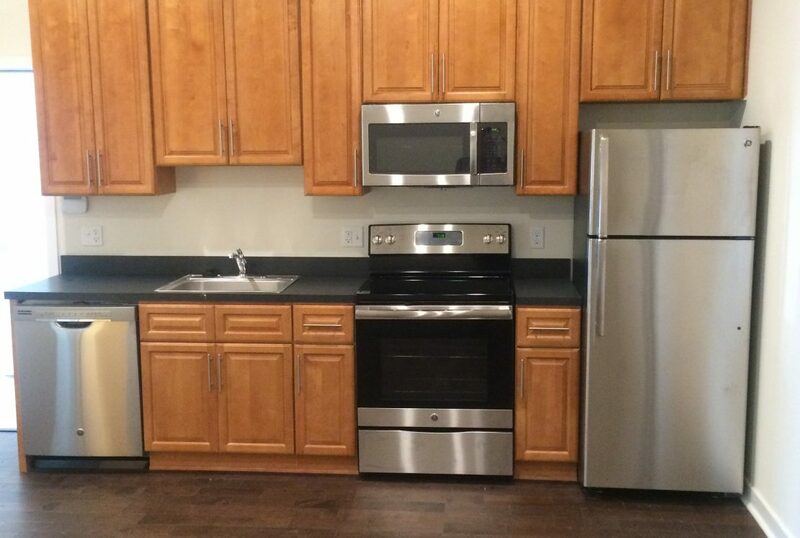 This apartment has a great layout with tall ceilings, tons of natural light, hardwood floors, all wood kitchen cabinets, and stainless steel appliances including dishwasher, microwave, stove, and full size refrigerator. This apartment boasts powerful central air to keep you cool in the summer and central heat to keep you warm in the winter. Your very own Washer and Dryer!!! This apartment has a spacious living room, intercom system, and alarm system. Each bedroom boasts a double wide closet perfect for any large wardrobe, cable and internet plug in capability. Contact Bryan to Schedule a showing today.